He certainly was not the first, but when Pete Kostelnick climbed the steps at New York City Hall in the waning days of October, he became the fastest person to run across America. Kostelnick completed his run on Oct 24 at 5:30 pm, exactly 42 days, 6 hours and 30 minutes from when he left San Francisco City Hall, breaking the previous record by four days held since 1980 by Frank Giannino. Earlier this year, an attempt to break the record by British runner Robert Young fell short amid intense controversy. But there was no controversy when Kostelnick finally crossed the finish, just exhaustion and jubilation. He said he needed just two things: a beer and his wife. 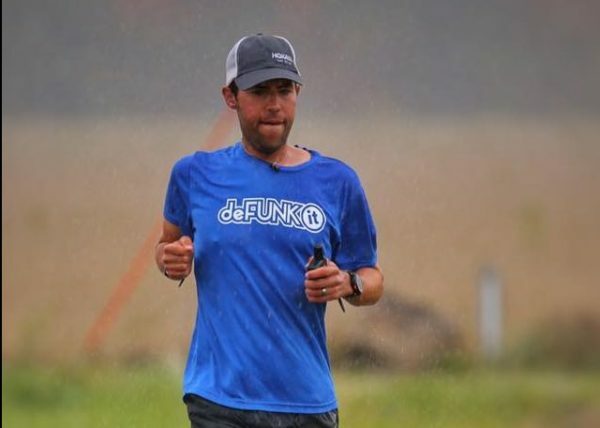 The 29-year-old kept up a super human pace of 72 miles per day, which required roughly 14 hours of running each day and burning around 7,000 calories. Such a grueling pace required around the clock support, extreme preparation and the mental fortitude to even survive. For starters, Kostelnick was already an accomplished ultramarathon runner, having won the Badwater Ultramarathon twic, a 135-mile course from Death Valley to Mount Whitney, known as the world’s toughest foot race. 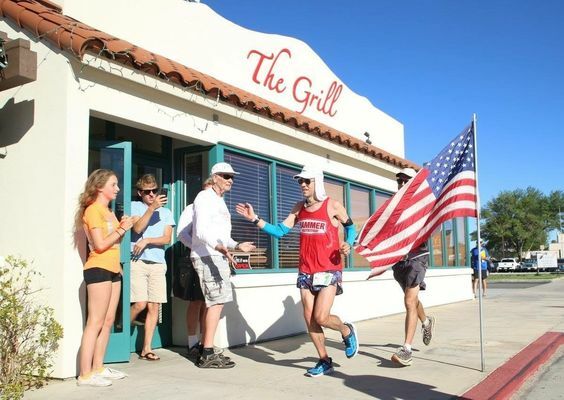 Leading up to embarking on the run across America challenge Kostelnick also ran a lot, logging over 900 miles in the month prior, according to the New York Times. So how did he manage to eat enough calories to keep his body functioning over all that mileage? Well, by shoveling huge quantities of food down his gullet on a daily. His diet of between 9,000 and 14,000 calories was recently laid out by Outside Online, and it’s a feat just in itself. The day begins at 3:30 am with an immediate bowl of oatmeal and from there it’s running and eating pretty all day long. He drinks a great of soda and gatorade along the way, and lunch is often fast food. Red meat and potatoes were also a big staple along with energy bars. There were certainly challenges. His support crew was involved in an accident and Kostelnick struggled through some personal low points, but when he finished those last paces down the streets of Manhattan he was every man’s hero. It was a feat as much an inspiration to everyone as it was an accomplishment for one, which became evident whenever the crew would pass through towns or fellow runners would come out to join him for a leg. But even this real life Forrest Gump has his limits as Kostelnick would be flying back to Nebraska. Learn more about Pete’s run at PetesFeetAA.com.